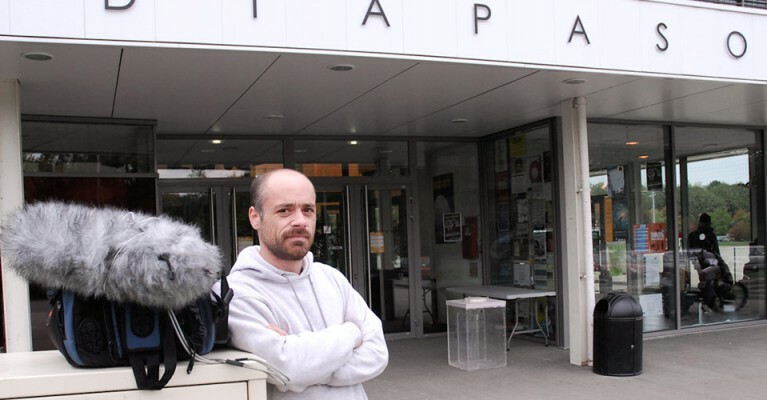 Richard Eigner is a multidisciplinary artist (sound creator, composer and drummer) who lives in Vienna, Austria. 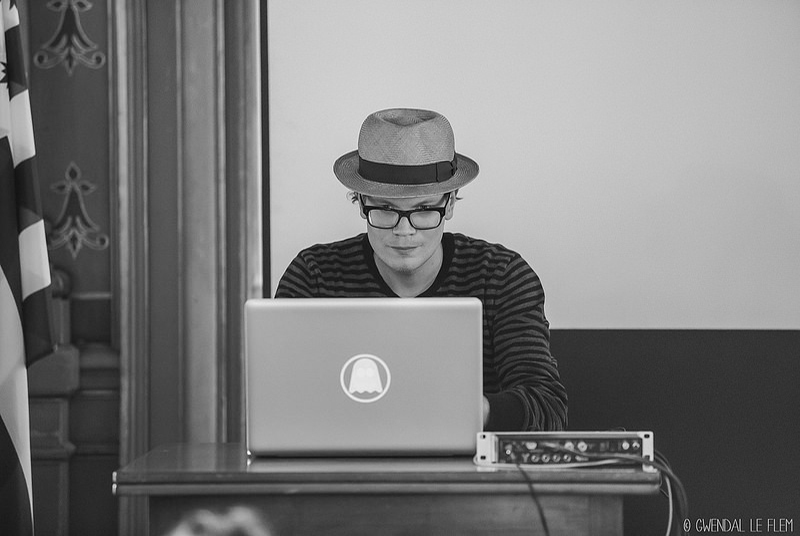 In his creations he mixes sound experimentation, minimalist music and electronic melodies. Together with Roman Gerold -a jazz pianist and composer for theatre and cinema- Richard Eigner forms the duet Ritornell. Music boxes, drums, software… Richard Eigner employs each one of these tools to compose and experiment. TheCity Hall of Rennes was designed by Jacques V Gabriel after a fire destroyed the city center in 1720; the construction took place between 1734 and 1743. The edifice consists of two classical buildings linked by the clock tower in a semicircle recess. Its three floors and a basement holds nowadays around 130 workers (civil certificates unit, technical department, councillors and their secretaries, and political groups). In October 2013, Richard Eigner went all over the City Hall during one week. 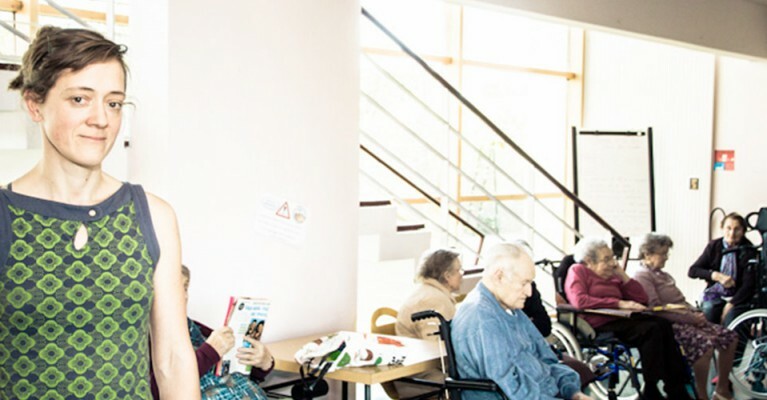 He discovered some of the building’s most distinctive sounds, such as the creaky entrance door, the ongoing chatter in different parts of the site or the traffic noise, that is surrounding the halls. He also had access to the roof of the City Hall and recorded the charming cyclic tick-tocks of the huge clockwork. 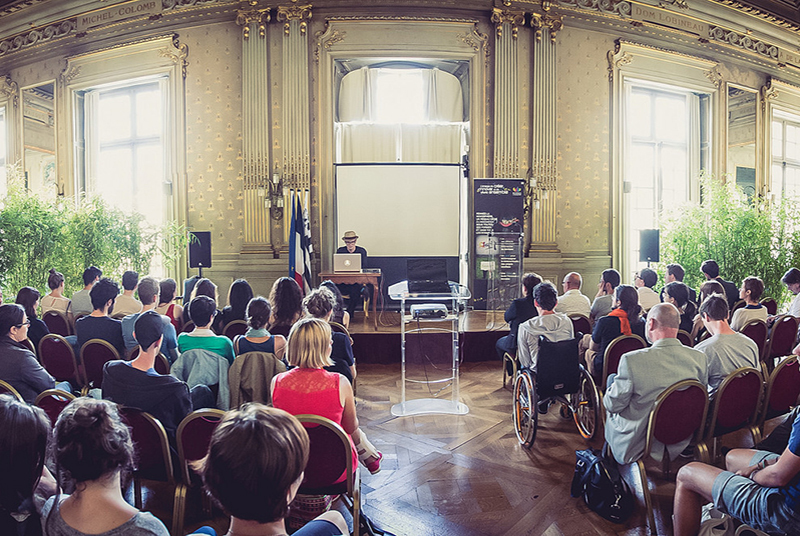 The presentation of Richard Eigner’s work took place the 18th of June 2014 at the City Hall of Rennes. 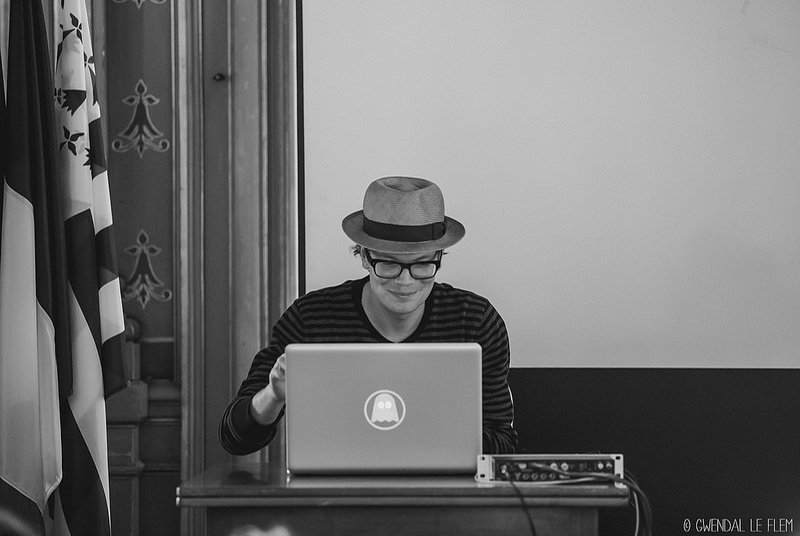 For this occasion he mixed the sounds recorded in October 2013 with live field recordings. Furthermore, he processed the sounds with a denoising algorithm which is normally used to restore damaged audio signals. Instead of being used for its intended purpose, the algorithm enabled him to introduced newly created sound substance from his recordings. 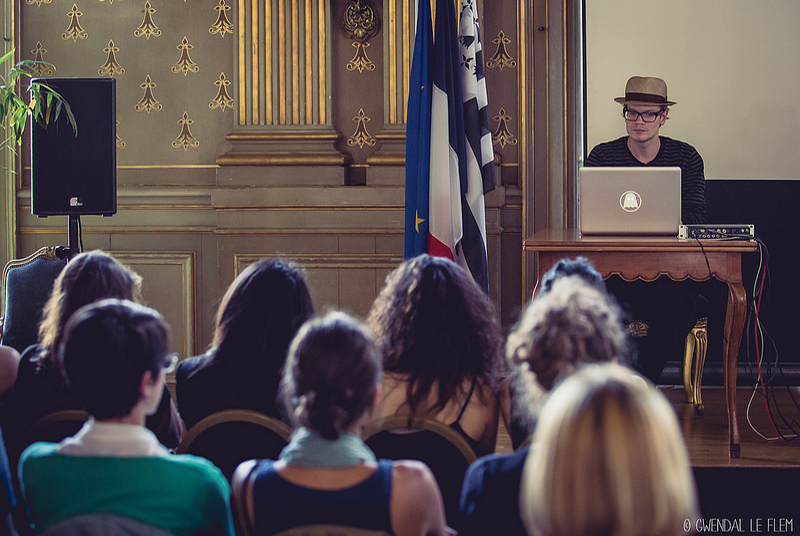 This residency received support from Rennes Métropole and the City of Rennes.